The signing of the MOU was to reinforce partnership between the city and DOH.The honorable Mayor Gumede said this was a renewal of vows of commitment to deliver services to the greater community of eThekwini. She said the first memorandum was signed before she was in term in 2010 and on this day, it gives her great pleasure to renew these vows. 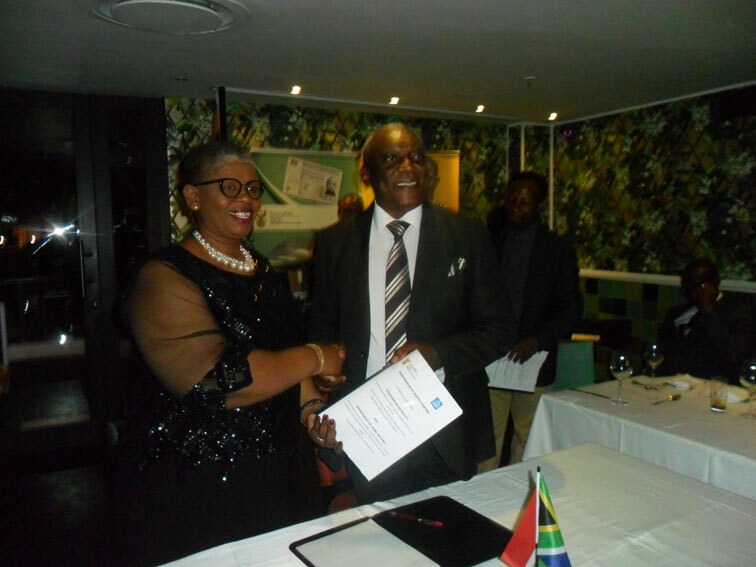 The Minister of Home Affairs, Dr Siyabonga Cwele was in Durban, Havana Grill, Suncoast Casino to sign a Memorandum of Understanding with the Mayor of eThekwini Municipality, Cllr Zandile Gumede. “This ceremony will assist in ensuring all the people have the necessary documents to vote on election day come 8 May.” said Gumede. She said the municipality commits to working with the community, ward councillors and voter registration officers. DOH Minister Cwele expressed his deepest gratitude for renewing the relationship with the city. He said the city is one of the most deserving of the relationship as it has out done itself by providing the department with 71 volunteers to assist with the workload at the various DOH service centers in Durban. “We have 71 volunteers who are currently assisting in our office in Chatsworth, Pinetown, Commercial Street, Umngeni and Tongaat. These volunteers assist us in various functions such as issuing birth certificates, Identity Documents, marriage certificates and death certificates, especially with the new digital system of issuing Smart ID’s, ” said Cwele. Cwele said the volunteers are acquiring skills and they should form a pool from where the department can recruit from when the budget allows.